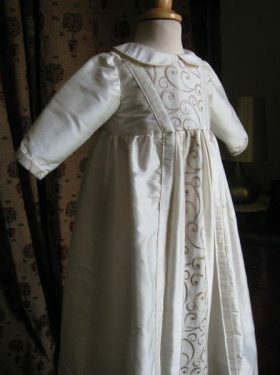 Many of Little Doves’ christening gowns have a Victorian influence to them. 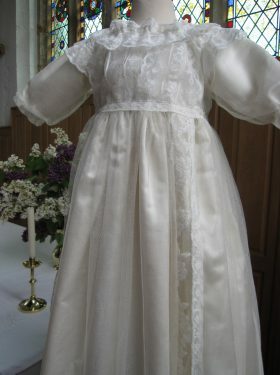 So why not have a lace heirloom christening gown designed just for you. 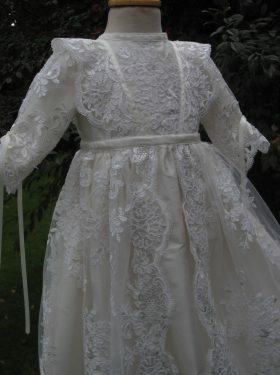 Designer Linda has a love of the Victorian era and this shows in many of her bespoke creations. 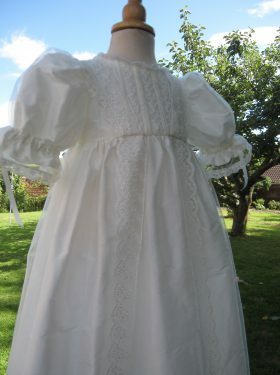 The Victorian christening gown oozes grandeur and luxury. 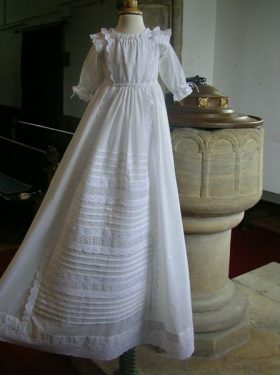 The style normally consists of a cotton or silk gown with a front panel on skirt and bodice. This panel is decorated, sometimes extremely elaborately, with rows of pintucks and broderie anglais laces. 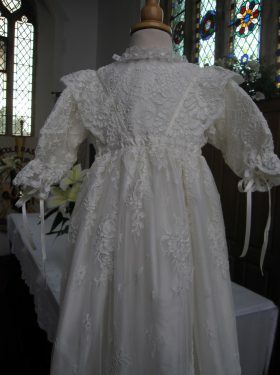 Linda has an everchanging stock of Victorian christening gowns that she uses to decorate newly made christening wear. Please contact Linda for details of this service. 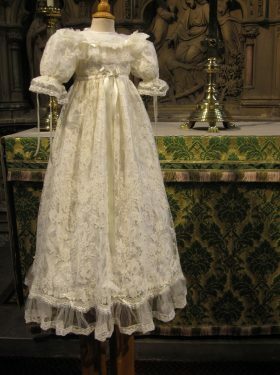 Perhaps the most popular Victorian style gown that Little Doves has created is the gown that was featured in the BBC production "The Paradise." 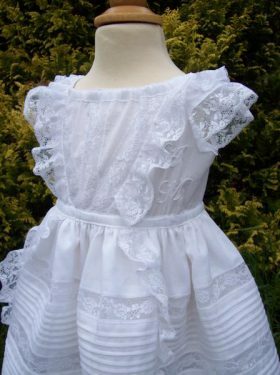 This gown is a perfect replica from the original Victorian pattern and reflects the era beautifully. 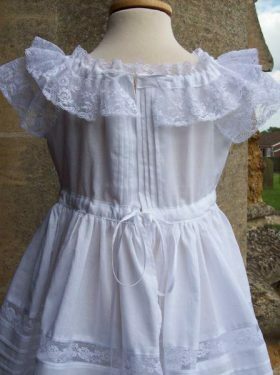 All our Victorian gowns mirror the era perfectly, pintucks adorn as well as frills, flounces and broderie anglais lace.